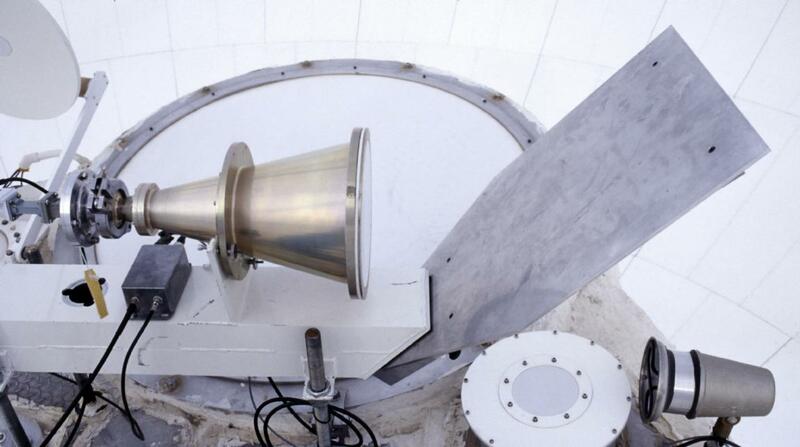 The holography system measures the complex voltage pattern over the focal plane of the antenna. The phase portion is obtained by cross correlating the signals received through the main reflector optical path with signals received directly in a reference antenna. 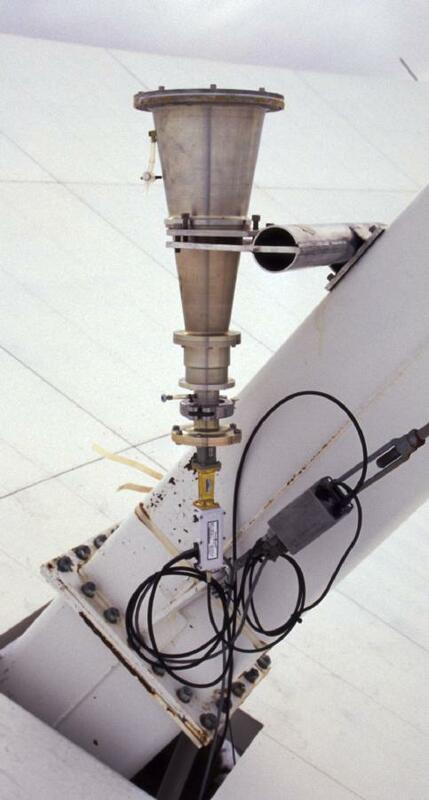 In this system, the reference antenna is a horn mounted on one of the feed legs. The voltage pattern can be transformed to image the aperture plane of the antenna. The amplitude gives the illumination pattern while the phase pattern measures fluctuations in the signal path length. Imperfections in the position of the surface can be deduced from the phases. The ultimate goal is to adjust the antenna panels based on these measurements to improve the surface and, hence, the performance at high frequencies. 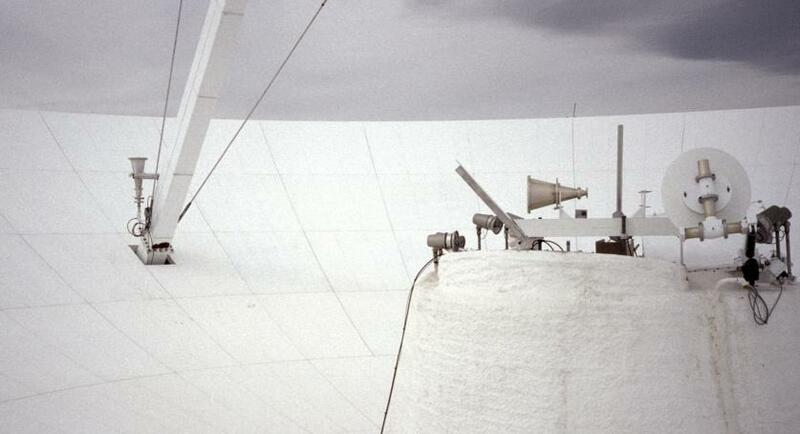 The signals observed with the holography sytem are at 12 GHz and are from TV satellites. Very inexpensive home satellite receivers were used. 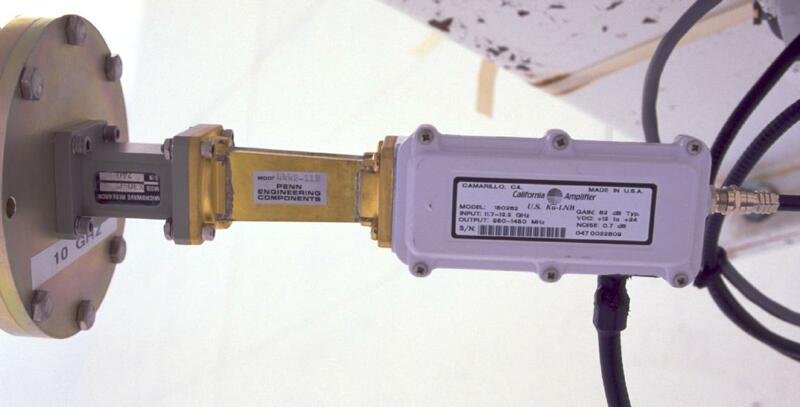 The data path uses the normal VLBA 12 GHz LO/IF system and then ultimately is sampled on a data aquisition card in a PC. The correlation is done in the PC. Vivek Dhawan has been overseeing the project and dealing with data analysis. Mike Revnell built the digital equipment. 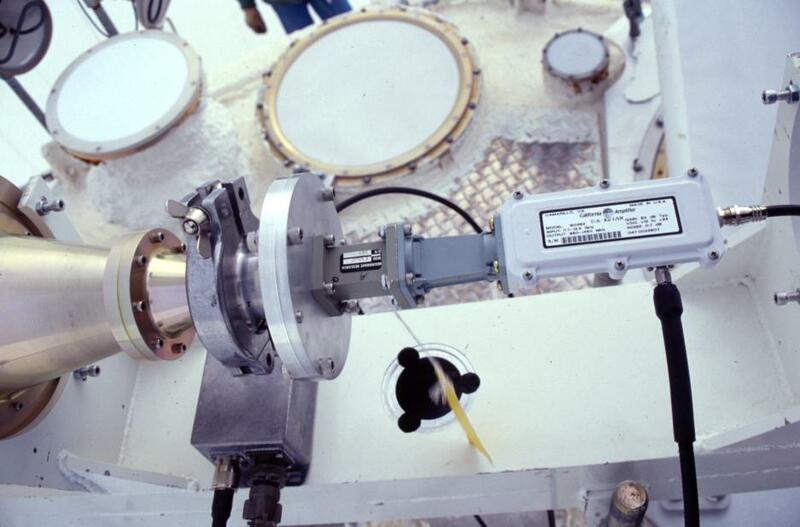 The mechanical work was done by Jon Thunborg, Steve Aragon, and Ramon Gutierrez while the electronics were assembled by Vivek, Tom Baldwin and Jim Oty. Click on the thumbnail to see a larger version of the image. This is a closeup of the reference horn and receiver. 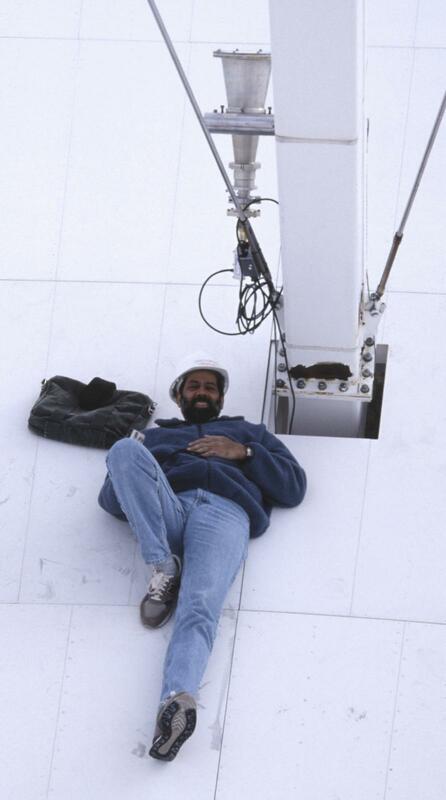 Another view of the reference horn with Vivek lying down on the job. Actually he is checking the polarization. 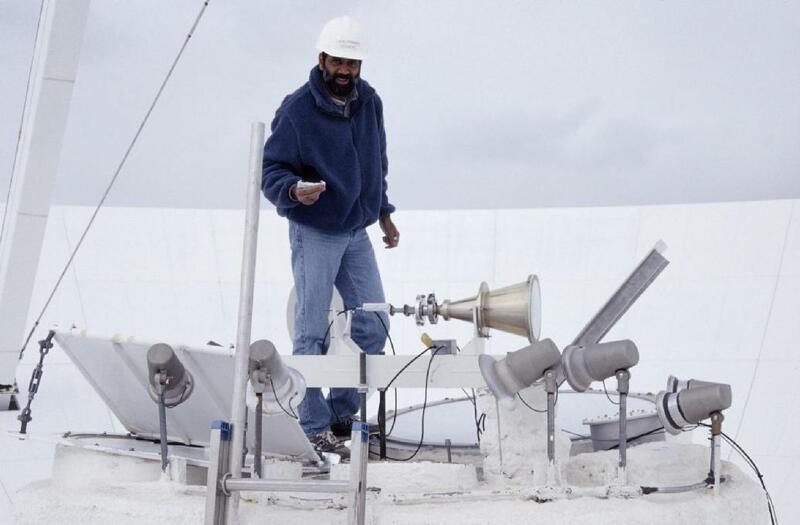 The signal from the main antenna would normally enter a feed on the feed ring on which Vivek is standing. 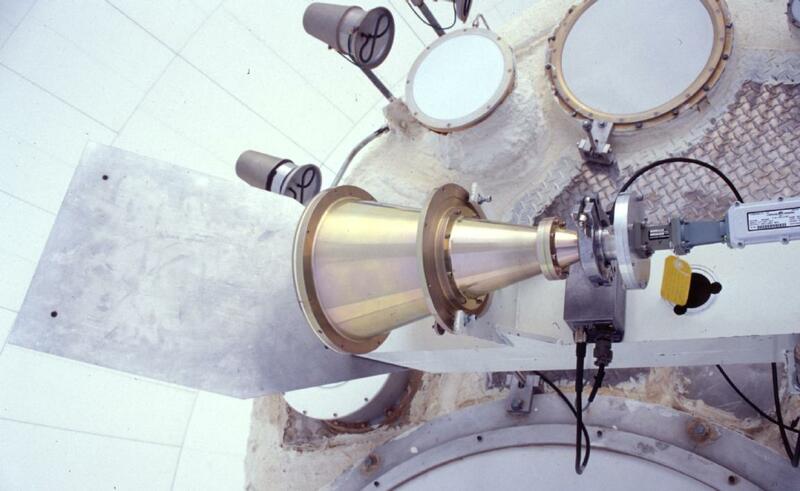 With the holography system, the signal is deflected sideways to a horn mounted near the center of the feed circle. With this scheme, there is no need to move any of the regular receivers and the system can be mounted quickly for test observations. 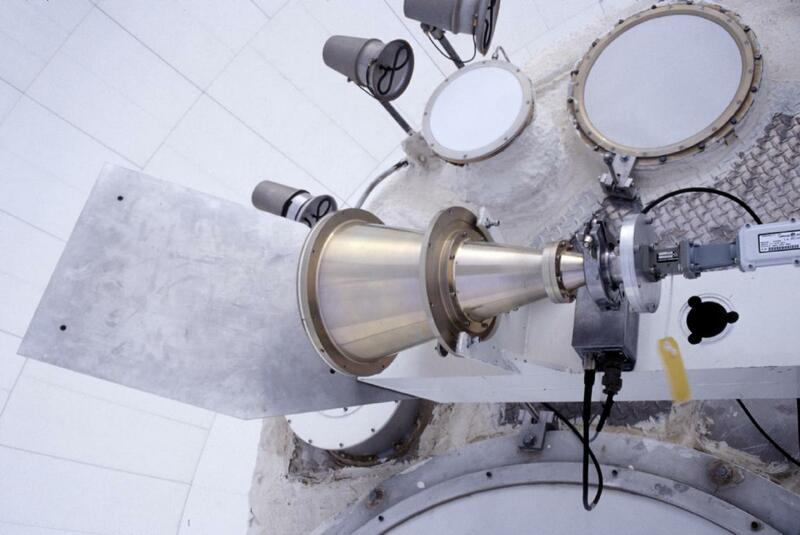 A closer view of the offset reflector, horn and receiver for the main beam signal. The consumer grade 12 GHz receiver. Another view of the receiver and base of the horn.